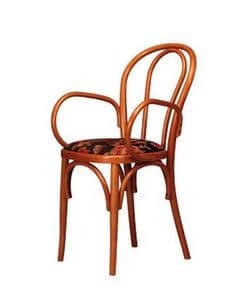 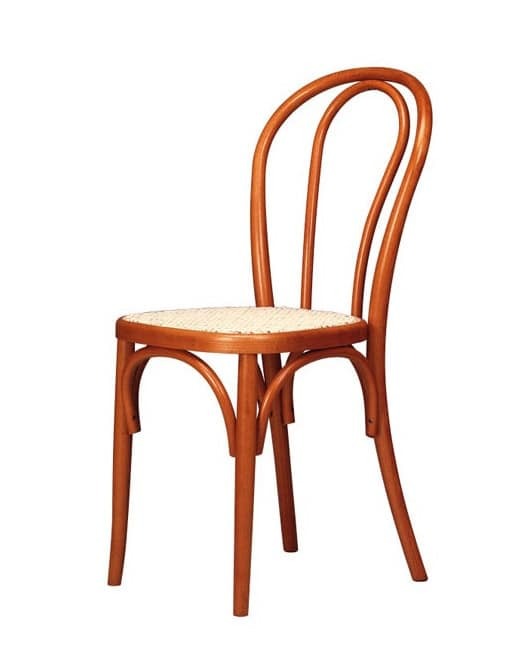 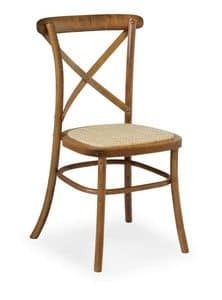 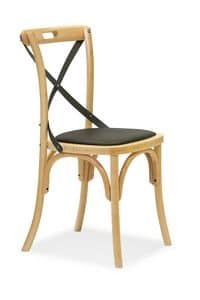 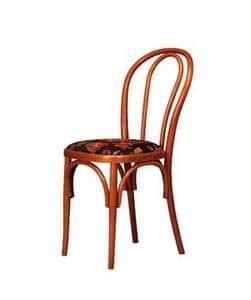 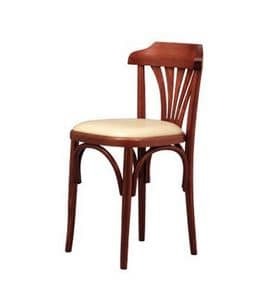 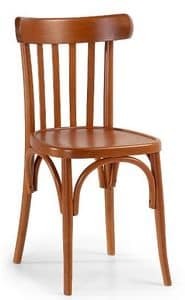 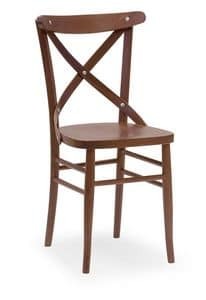 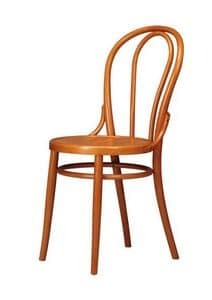 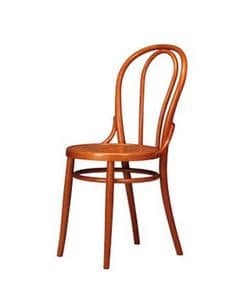 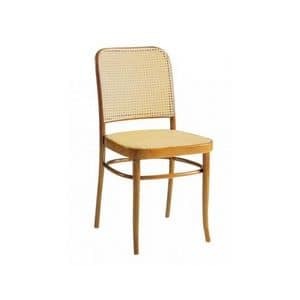 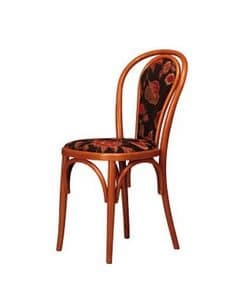 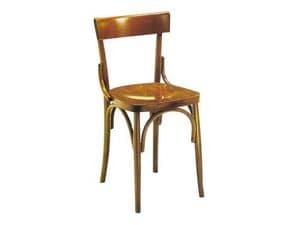 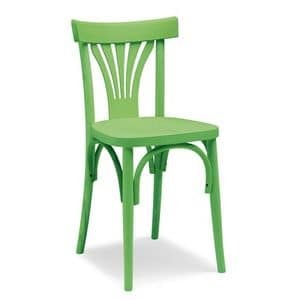 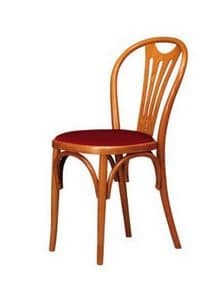 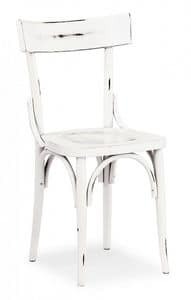 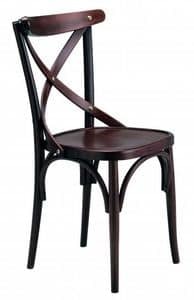 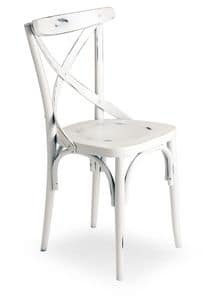 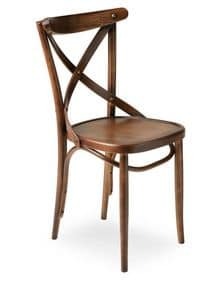 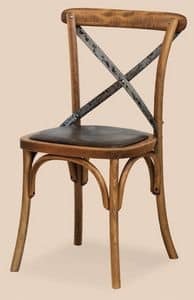 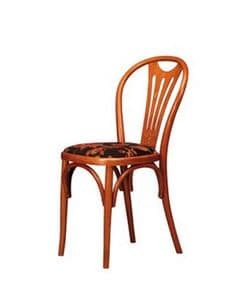 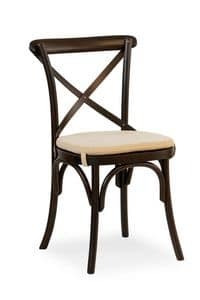 Chair in wrought wood. 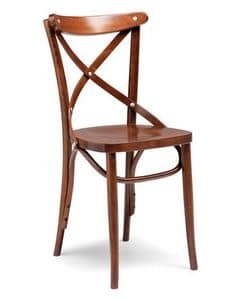 Chair for bar and home, in beech wood with cane seat. 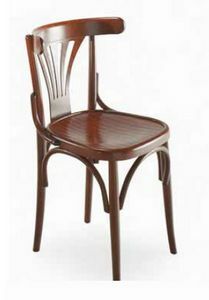 Beech chair with padded seat and back.